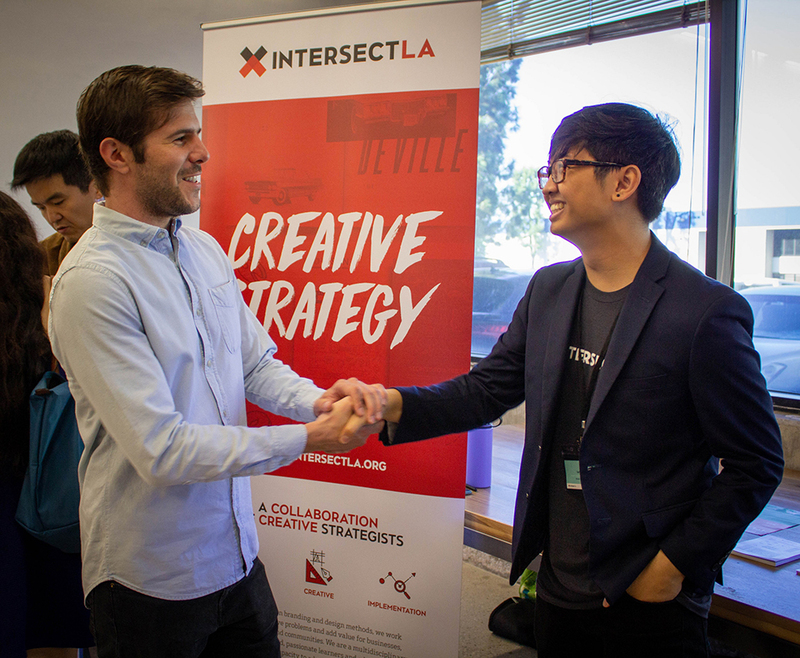 CSUN student Ian Solano (right) networking at an Intersect LA event at Toolbox LA. Photo courtesy of Toolbox LA. 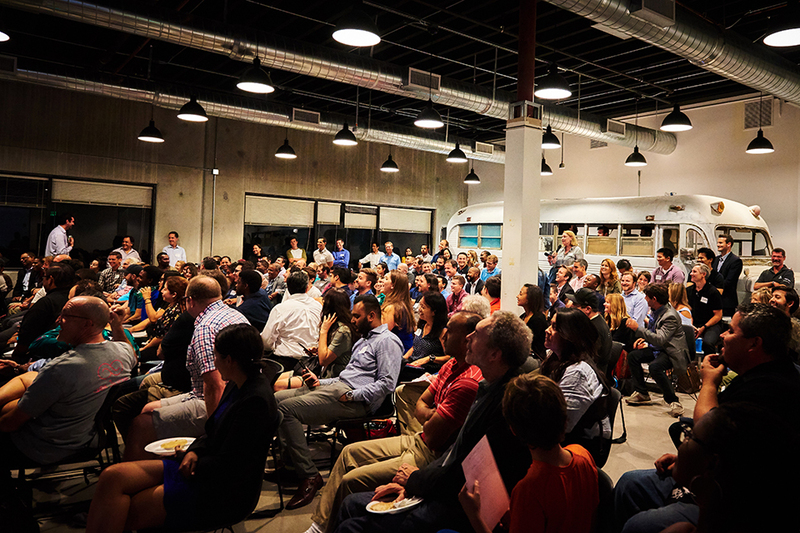 An event at Toolbox LA. Photo courtesy of Toolbox LA. Photo courtesy of Toolbox LA. The California State University, Northridge community is buzzing with creatives and entrepreneurs looking for a place to build their ideas. Toolbox LA wants to provide them with resources to cultivate their passions and find a supportive community. The facility provides CSUN students with opportunities for mentorship while enjoying amenities. 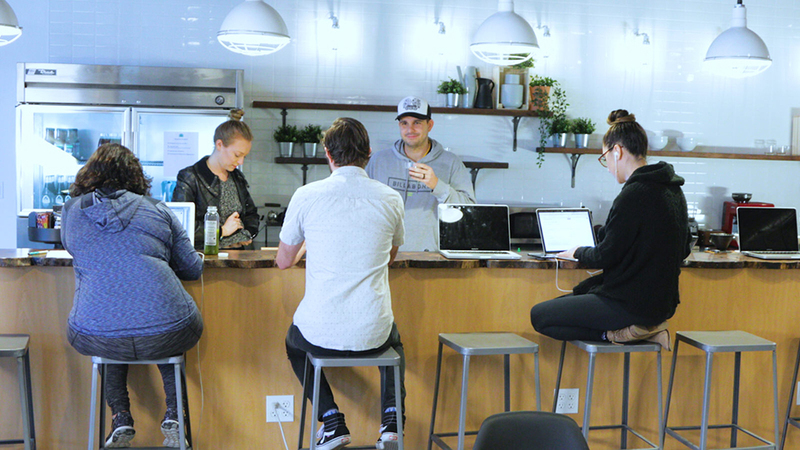 Toolbox LA, located in Chatsworth, is a shared working space currently used by 80 businesses from various industries. To encourage creativity and business collaborations, Toolbox is providing a workspace for CSUN students away from campus. Current CSUN students can use the first floor of the facility, including meeting rooms, a cafe, art gallery, artists studio, wood and metal workshops, and 3D printing stations, every day from 10 a.m. to 5 p.m. The space offers opportunities for all majors and skills, including arts, humanities and start-up businesses with resources such as private offices, event spaces, studios and labs to encourage innovation. Toolbox LA offers several programs and workshops for the CSUN community. 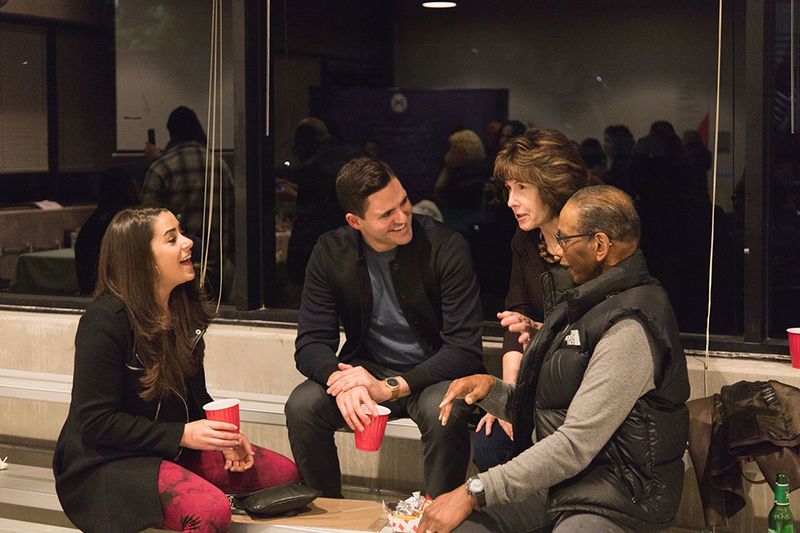 Their “First Friday” program, which began in December 2018, invites students and community members to enjoy food trucks, vendors, artist exhibitions and live performances. The event takes place every first Friday of the month, from 6 p.m. to 11 p.m., and is free for all visitors. The event was developed by CSUN students and alumni. “It’s been a wonderful journey seeing how the event has evolved from an idea to having students volunteer and and contribute,” Moon said. The “Conquer the Challenge” three-day portfolio challenge was created with CSUN seniors in mind. It offers students the opportunity to shape and edit their portfolios. The workshop provides students with access to feedback from industry professionals, strengthening their portfolios prior to graduation. Toolbox LA’s goals for the future are to further involve CSUN students from diverse disciplines and departments. With their resources and support, Toolbox LA hopes to expand CSUN students’ presence in Chatsworth and beyond while providing resources for innovation. Toolbox LA offers a deal for CSUN students, faculty, staff and recent graduates to rent a space for $100 a month — half the normal price of $200, with full access any day or time. For more information about Toolbox LA’s programs and events, visit their website. The office is open from 10 a.m. to 5 p.m. all week at 9410 Owensmouth Ave, Chatsworth.